National ITC Medical Gas Installer 6010 Certification. What Does A Certification and A Pickup Truck Have In Common? Domestic automakers love building full-size pickup trucks because they’re typically perennial best sellers. Each year, Detroit’s “Big Three” sell almost a million new trucks combined to fleets, contractors, and private owners. Some manufacturers don’t sell half that many vehicles across their entire product line! The same can be said for many businesses; certain products resonate with the wants, needs, or desires of consumers and will sell well as a result. For those of us at National ITC (NITC), Medical Gas Installer 6010 is our equivalent of a full-size pickup truck… It’s one of our best sellers! Part of the reason why is that NITC is the only third-party personnel certification company that has an ANSI 17024 accredited certification in Medical Gas Installer 6010. What Is Medical Gas Installer 6010? The American Society of Sanitary Engineering (ASSE) developed the Series 6000 Standard for medical gas systems personnel. From the time it was introduced, Series 6000 has become the industry standard. It provides municipalities and employers with a nationally recognized standard, ensuring that personnel working on the installation or maintenance of critically important medical gas systems possess the knowledge and experience required to handle it safely and properly. Installers include anyone who works on, or with, piping or any related components, including brazers. What Does An ANSI 17024 Accreditation Mean? Accreditation refers to act of granting credit or recognition to something. This term is typically used when referencing educational institutions in a conversation. 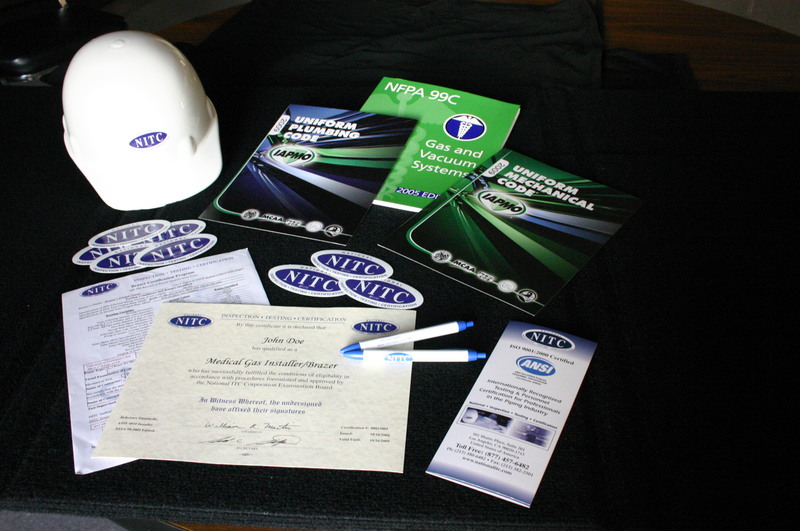 In this case, the American National Standards Institute (ANSI) has, and it bears repeating, certified NITC as the only third-party personnel certification company that has earned an ANSI 17024 accredited certification in Medical Gas Installer 6010… It is the satisfaction of ANSI’s rigorous requirements that puts NITC certifications ahead of other personnel certification organizations. To put it another way, think of ANSI 17024 as the Better Business Bureau (BBB) of personnel certification organizations!